Actually, anything could happen whether we let go or not. It is an illusion that as long as we cling to the situation we have some control…Surrender means accepting our powerlessness to change many of the realities in our lives…It means trusting instead in a Power greater than ourselves. Faith has been likened to being in a dark tunnel and seeing no glimmer of light but still crawling forward as if we did. “Moving toward the light…” I really love the sound of those words. What could be darker than watching my daughter self-destruct over the course of fifteen years? How have I learned to “dance in the rain,” even as she has continued to slip away? My resistance training at the gym has shown me that pain comes from putting resistance on the force exerted, and that has served me in strengthening my body. But my spiritual life demands just the opposite. My strong will and determination to save Angie from drug addiction was instinctive; it would be counterintuitive NOT to step in and interfere in my child’s self-destruction. But once I became educated about the nature of addiction as a brain disease, I realized that other than offering my love and emotional support, there was very little I could do. I did send her to four rehabs, which bought her some time. But once or twice would have been enough to show her the tools of recovery. At what point do we need to make our adult children responsible for their own recovery from this cunning disease? I will let go of my strong will to save Angie and trust that God has a bigger plan. I have faith that things are unfolding as they are meant to—and in God’s time. In my view, faith and acceptance go hand in hand. This entry was posted in Uncategorized and tagged addiction, grief, Heroin, heroin epidenic, hope, opioids, parent of an addict, recovery, stigma. Bookmark the permalink. 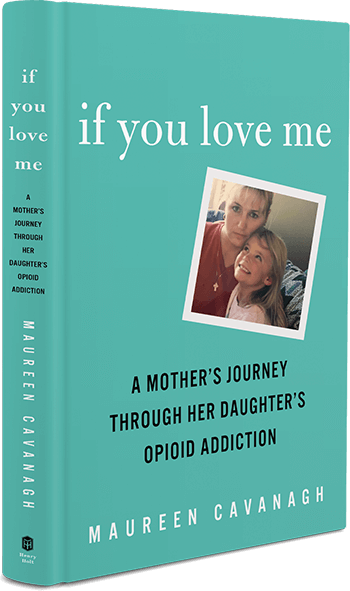 “Giving up,” or dropping the ball both have that awful sound of not caring, which is why so many moms, myself included, keep on trying to do anything we can to save our child from the clutches of addiction. But we simply don’t have that power. My Angie needs to do whatever is necessary to stop putting drugs into her body. She’s not a child; she’s 37. Only she has that power. If she had diabetes, she’d need to take her shot; if she had brain cancer, maybe chemo. But because it’s drug addiction, so many people see it as a moral failure, and feel no sympathy or compassion. Our addicts are pushed off into the fringes of society and we are powerless to bring them back. This is why I “let go and let God;” it’s the only way I can get my life back and enjoy my other loved ones. They need me as well. Blessings to you and your Ming. Like me, I hope you can learn to dance in the rain.